Contact us, we’d love to hear from you and discuss how we can help you create a healthy body, mind and soul. Please note: We are closed on most Queensland public holidays. Opening times are subject to change at owners discretion, please call our friendly receptionist to check the opening time if you are traveling from a long distance. Thank you. 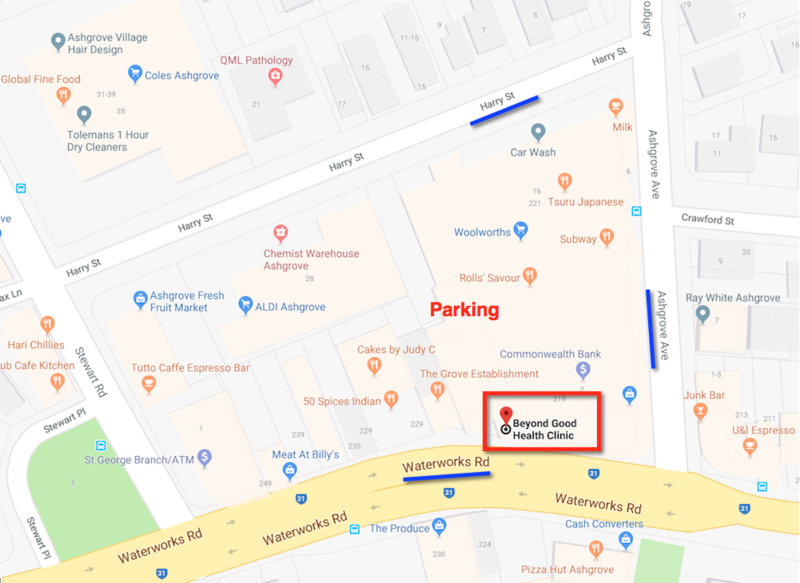 Ashgrove clinic can be accessed via Harry Street (parallel to Waterworks Road) and our carpark is between Woolworths and Aldi at the bottom of the hill. 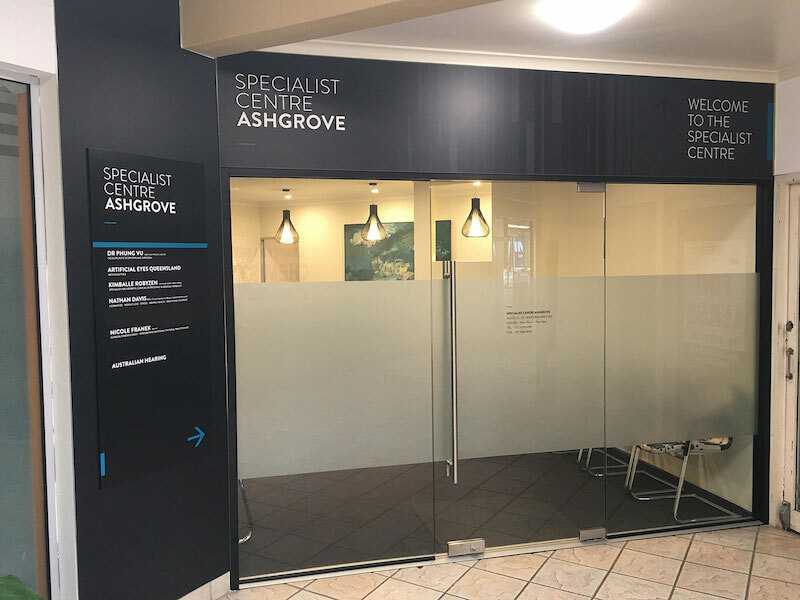 Enter through the glass doors and the clinic is at the top of the stairs, inside the ‘Ashgrove Specialist Centre’. If our car park is full, you can try Aldi or Woolworths to either side. 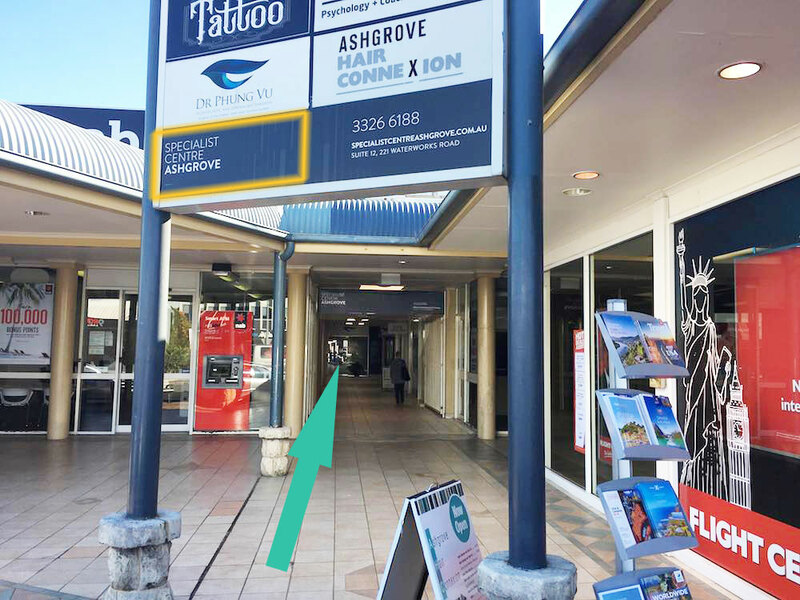 If you are entering from Waterworks Road, our clinic is between NAB and Flight Centre. See images.